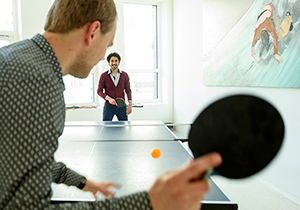 Werken bij Eneco - Traineeships, stages en starters vacatures! Wouldn’t it be great if we could all generate our own sustainable energy? Well, that’s no longer a vision of the future. It is happening right now, and more and more people are joining in. They are deciding how they generate, use, sell and share energy with others. Together with customers and partners, Eneco Group is looking for energy solutions that make it possible to live and work in a smarter way.